Until now, I’ve never known how to negotiate for a car. 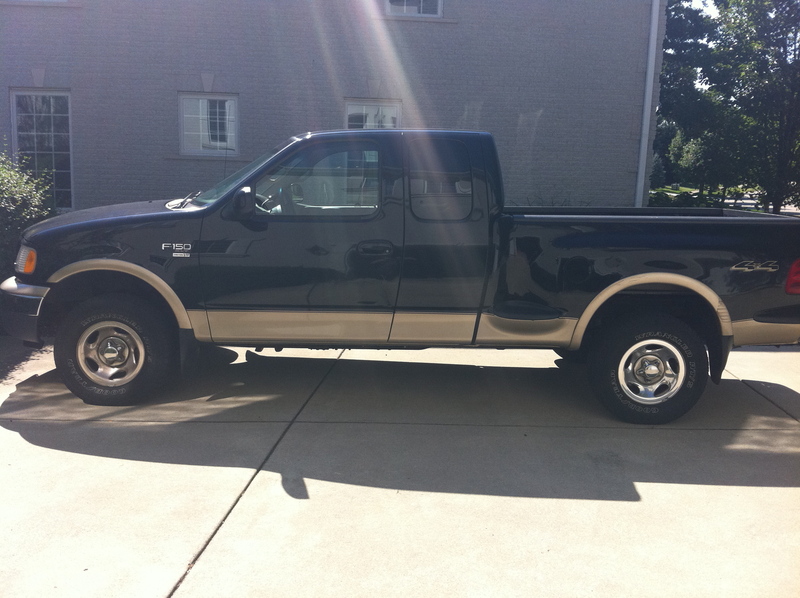 The car I drove since the day I got my license, a black 2000 Ford F150, is the car I drive today. In a few months, my wife and I are moving to Chicago. The plan is to sell both of our cars and get a small, late-model, fuel-efficient car (although we want to do a trial run of ZipCar). Recently, I’ve been reading up on how to negotiate for a car. Ironically, the best tip I received was from the book, The Millionaire Fastlane by M.J. DeMarco (Ironic because I wasn’t reading the book for car negotiation tips, even though the title includes the word Fastlane). Of course M.J.’s method for negotiating a car works if you’re paying in cash. Which if you can’t afford to pay for the car you want in cash, you can’t afford the car. If you have any tips on how to negotiate for a car, please let me know in the comments. For many reasons, car sales are never dull. Very true, if you have the total cash amount ready/check, you’ll have a deal done that day. New car= Invoice + $500 or $1000 depending on the brand, and how generous you’re feeling and if you’ve had a good experience ordering the car. Used: “Galves.com”, not KBB, not NADA. Best case scenario is that you can pick a CPO car from a private seller, seeing as how the CPO warranty stays with the car, not the seller, you can usually get a lower price from a private seller with the CPO warranty still attached to the car. FYI: I picked a 6MT, CPO 2007 BMW E90 (sedan) 328xi from a private seller for 23k about August of last year. With ZSP (sport) ZCW (cold) ZPP (premium) packages, Logic 7, and navigation. Thanks David for the top regarding Galves.com. I’ll admit, I’m inexperienced in this area, so not sure what the best sites are. Hi not sure about america but here in australia the car dealers get a slice of the financing that they organise so paying cash is not as greater bargaining chip as the dealer would prefer to make a profit on selling you the car and also an ongoing percentage of the finance payments. I do agreee that the cashiers check is a great idea for you as it avoids upsells etc. Thanks for a great site, always through provoking and interesting. Same here in the U.S. Dealers make a lot of money off the financing. The problem is, it’s not worth it to make finance payments just so you can use it as a bargaining chip. You’ll save yourself more money by paying in cash. RJ – I love the idea – I am definitely going to try this next time – thanks for sharing! Thanks Bob! Glad you liked it. I would strongly recommend reading an article called “The confessions of a car sales man” I think the author updated the content in 2009. I found it very powerful information and I no longer feel like I have been taken advantage of when buying cars.